Most of Europe is now using a single currency, the euro. Once upon a time, each European country had its own currency. In 1999, the European Union took a large step toward a unified Europe. Eleven countries formed an economic and political structure in Europe. Membership in the EU became something to aspire to; the organization gave significant support and financial aid to countries that could meet the required criteria and wanted to join. Each member of the Eurozone shared the same currency, known as the euro, which was to replace their own individual monetary units. These countries started using the euro as the official currency in early 2002. Technically speaking, Andorra, Kosovo, Montenegro, Monaco, San Marino, and Vatican City aren’t members of the European Union. However, they have found it beneficial to adopt the new currency regardless. A special agreement has been reached with these countries that allow them to issue euros with their own national emblems. The euro is currently one of the world’s most powerful currencies. The euro’s international symbol is €, with the abbreviation of EUR. As with all foreign currencies, it varies in value against the U.S. dollar. On Jan. 1, 2002, the euro replaced the respective previous currencies of the countries who joined the Eurozone. The European Central Bank might be responsible for the authorization of the issuing of these notes, but the duty of putting the money into circulation rests on the national banks itself. 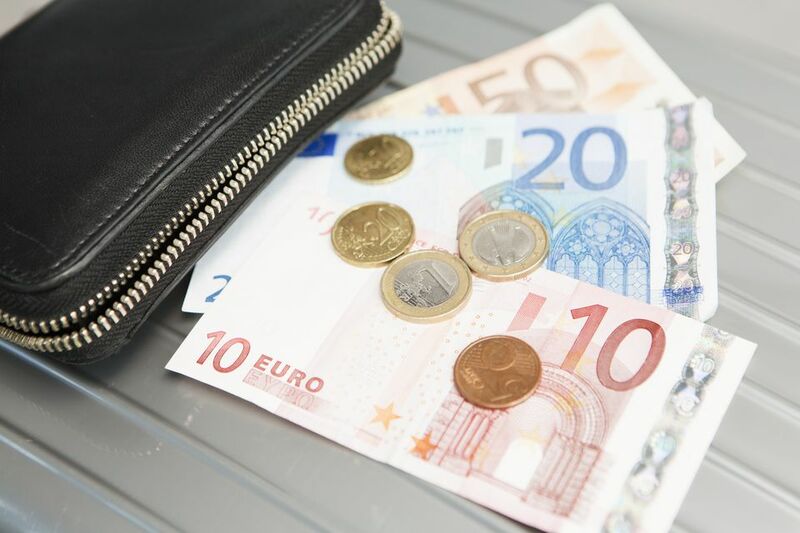 The designs and features on the notes are consistent throughout all the euro-using countries and are available in denominations of EUR 5, 10, 20, 50, 100, 200, and 500. Each of the euro coins has the same common front-sided design, with the exception of certain countries, which are allowed to print their individual national designs on the back. The technical features such as size, weight, and material used are the same. There are eight euro coin denominations: 1, 2, 5, 10, 20, and 50 cents and 1 and 2 euro coins. The size of the coins increases with their value. Not all Eurozone countries use the 1- and 2-cent coins. Finland is an example. Some of the Western European nations not participating in the conversion are the United Kingdom, Sweden, Denmark, Norway, and independent Switzerland. Aside from the euro and crowns (krona/kroner) used in the Scandinavian countries, there are only two other major currencies in Europe: The Great Britain pound (GBP) and the Swiss franc (CHF). It is always advisable when traveling in a foreign country to convert some of your cash into the local currency. Local ATMs at your European destination will also provide you with a decent exchange rate if you need to draw from your account at home. Check with your bank before your departure to be sure your card will be accepted at ATMs in some of the smaller independent countries, such as Monaco.